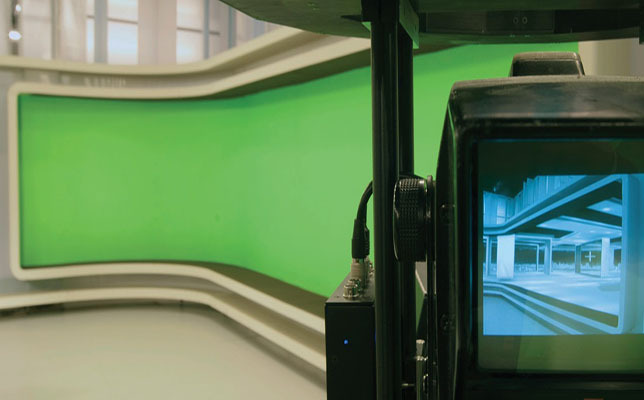 Two facilities at Indiana University (IU) have integrated comprehensive media platforms that enable collaboration and provide cutting-edge 3D and virtual reality studio technologies. Both The Media School and the soon-to-open Mark Cuban Center for Sports Media and Technology have adopted the Avid MediaCentral Platform and other tools from Avid Technologies to help prepare IU students for real-world media industry workflows. The MediaCentral Platform will enable students at The Media School to collaborate remotely and access projects and media from anywhere. In addition, the school will be one of the first to use Avid NEXIS, a software-storage platform that is designed to accelerate production. These tools will be used in conjunction with Avid Media Composer and Avid Pro Tools, which The Media School has used for more than 15 years. “We'll have the ability to teach true workflows — not just how to edit on the desktop, but how to edit video in a collaborative manner within the ecosystem of a television station, production house or network," said Jay Kincaid, director of facilities and technology for The Media School, in a prepared statement. The Mark Cuban Center for Sports Media and Technology will also use the Avid platforms, as part of an effort to make IU Athletics “the national leader in 3D broadcast and replay, virtual reality and 3D virtual studio technologies,” according to a press release. With a $5 million gift from alumnus Mark Cuban, the center purchased Avid ProSet, a virtual studio solution that students will use to produce pre-game, halftime and postgame shows for IU’s live online sports broadcast. The Media School will train students and production crews, utilizing NEXIS to share production files. ProSet is a virtual studio solution that IU students will use to create pre-game, halftime and postgame shows, and more. Source: Avid. "Mark Cuban had some specific technologies that he requested that we buy, and one of the first things that he told us to explore was the Avid virtual studio," said Jeremy Gray, associate athletics director at IU, in a statement. "The whole mission of the Mark Cuban Center is to prepare students for tomorrow's jobs by having them interface with the technology that's going to be widespread in use in five, 10 years from now. Further information is available on the Avid site.